Observation - miked's 223rd spot submitted on 6th August 2009 - UK and Ireland. Description: badger droppings? why all the cereal in the droppings? 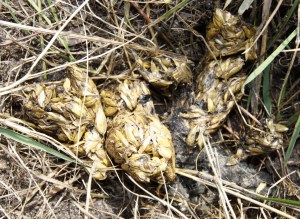 badger droppings? why all the cereal in the droppings?